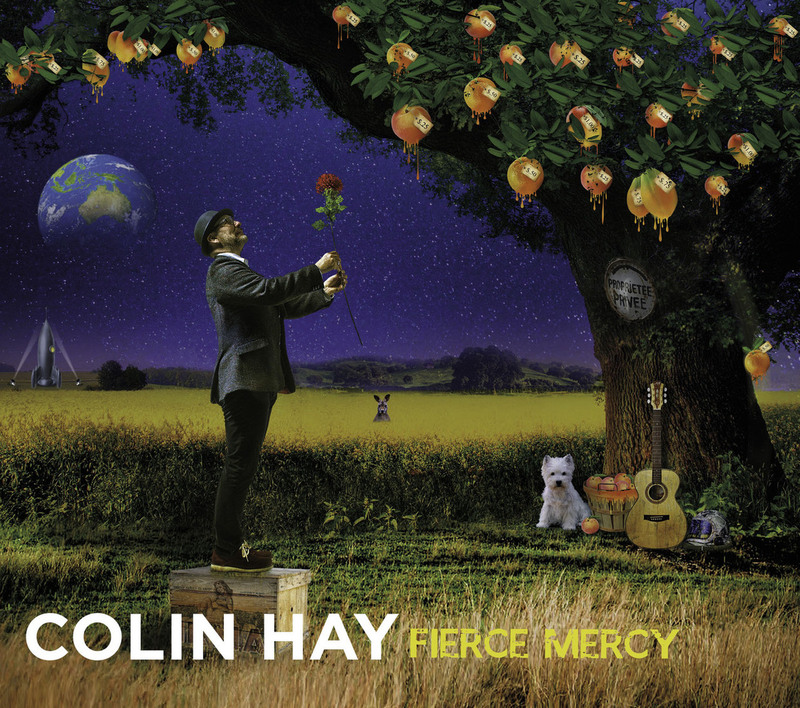 Discussions Magazine Music Blog: COLIN HAY/Fierce Money: Available March 3, 2017! December 15th, 2016 - Nashville, TN — FIERCE MERCY is an epic, cinematic step forward from singer-songwriter Colin Hay, most beloved for his intimate, confessional live shows but most widely known for being an influential and celebrated frontman. The range of artists who have chosen to cite him as a muse or who have found themselves on stage with him in the past year spans the genre landscape from heavy metal, to Americana, to Cuban rhythms and beyond. His inclusion as a playlist favorite from the likes of Metallica to The Lumineers reflects his continuing relevance and broad appeal. Colin announced his record to his fans via Facebook by posting a track from the new album with a holiday appropriate message about hope and love. Though many music fans will be glad to see the end of 2016, it was something of a breakout year for this career artist that included a three-week run at the Edinburgh Fringe; performances on The Tonight Show With Jimmy Fallon, Jimmy Kimmel Live! and ABC’s Greatest Hits; sharing the stage with Of Monsters and Men, Milk Carton Kids, Choir Choir Choir!, Kings of Leon; being publicly cited as an influence by artists as distinct as James Hetfield of Metallica, Jeremiah Fraites of The Lumineers, Troy Sanders of Mastodon, and The Infamous Stringdusters; as well as the completion of a documentary film about his career entitled Waiting for My Real Life, named for one of his best known solo recordings. Now finding himself in the unprecedented place of having both ’80s fame and indie credibility, it's possible that Hay has delivered the defining album of his solo career. The album will be released March 3rd, 2017 on Compass Records. So excited for his documentary to come out!